AK Turner wants to cuddle with a wombat. She wants it bad. 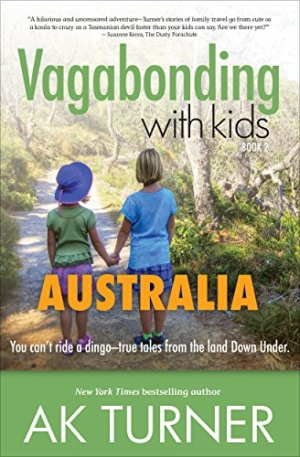 The nomadic family of four continues their journey with a two-month trip Down Under. AK Turner indulges her fascination with prisons, with no understanding of why her husband would rather spend every day at the beach. Their daughters aren't motivated by either, and are instead enthralled with the wonders of public toilets. As the Turners wind their way through Australia, all eyes are on the lookout for adventure. And wombats.